This is a photograph showing the northeast corner of Boswell Junior High School in Topeka, Kansas. The school was located on Boswell Avenue between 13th and 14th Streets. 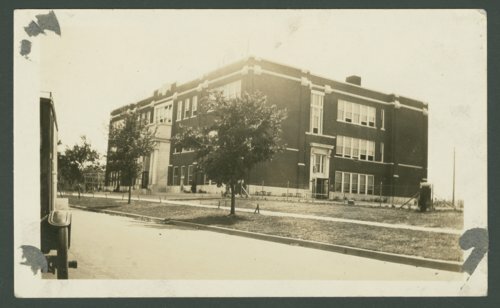 In 1926, Boswell was officially transformed into a junior high school. It stood for fifty-nine years until it was razed as part of Topeka's plan to consolidate and reorganize middle school districts and boundaries throughout the city.